Mobility has been accepted as the most disruptive technological innovation faced by enterprises today. Mobile devices have evolved from providing enterprise email and data on the move to introducing applications and services that have the potential to change the way companies do business. AGS is developing its own MEAP (Mobile Enterprise Application Platform) called “GoMobile”. The GoMobile platform will give customers a web based interface and mobile application to run their business. 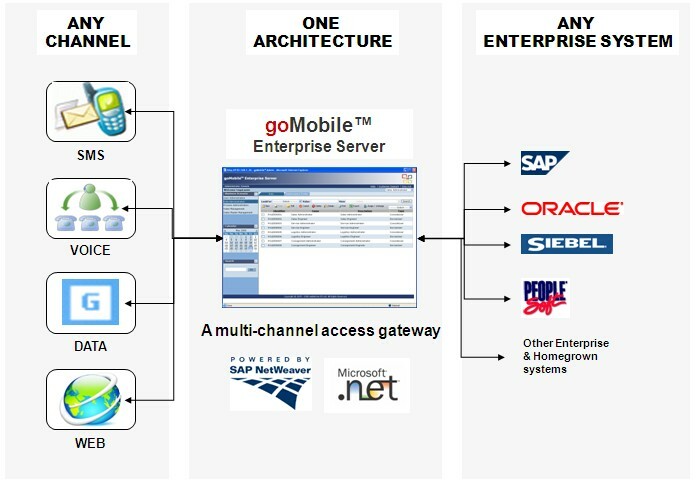 The GoMobile application optimizes workflow by leveraging existing infrastructure and integrates quite easily to any ERP back-end system. The GoMobile applications deliver exceptional user experiences across phones, tablets, desktops and other devices. GoMobile’s industry specific solutions provide deep and specific functionality needed for today’s mobile workforce. Consequently, these solutions empower industries with applications ranging from field sales, field service, field maintenance, repair, logistics, and transportation. 2019 Advent Global Solutions Inc. All rights reserved.